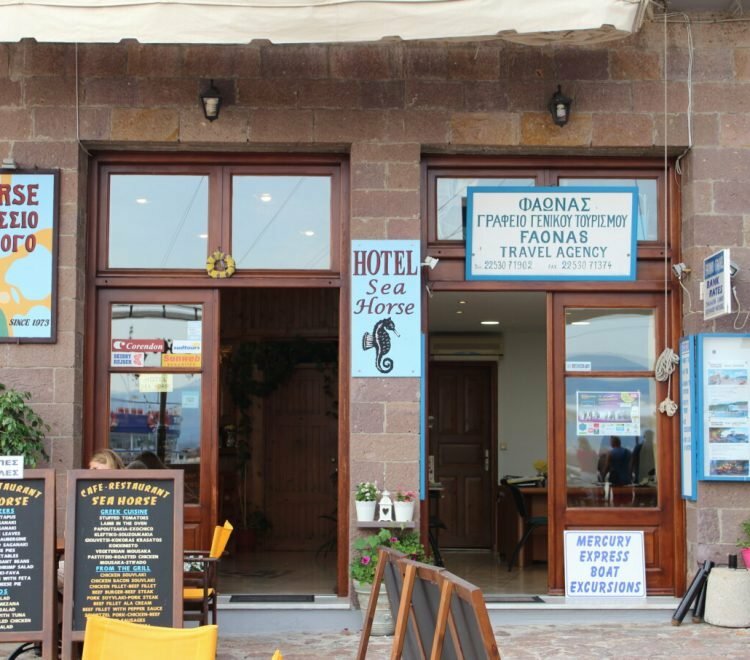 The SEA HORSE Hotel, that has been renovated in 2012, provides the ideal place from which to start your exploration of this unique island of Lesvos (Lesbos). 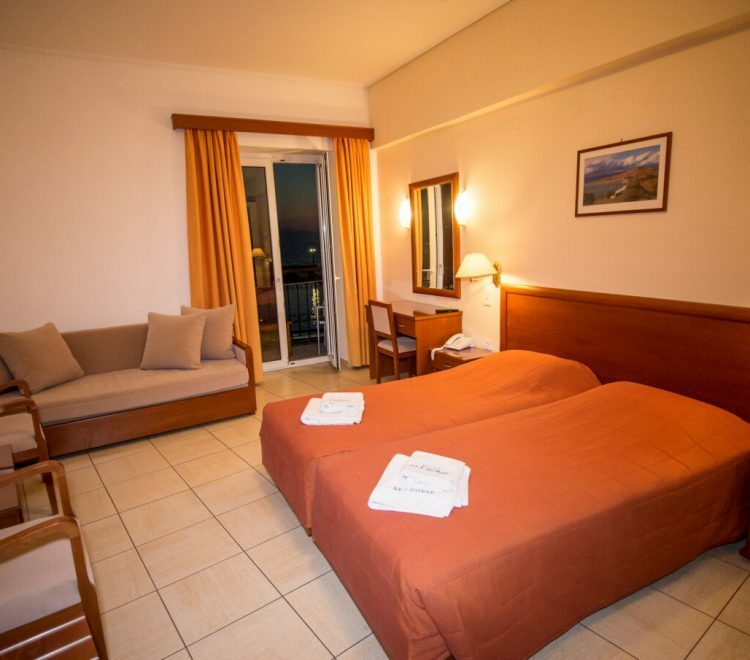 It is located in Molivos’ picturesque fishing harbour and the town’s attractions are all either within walking distance or within easy reach. 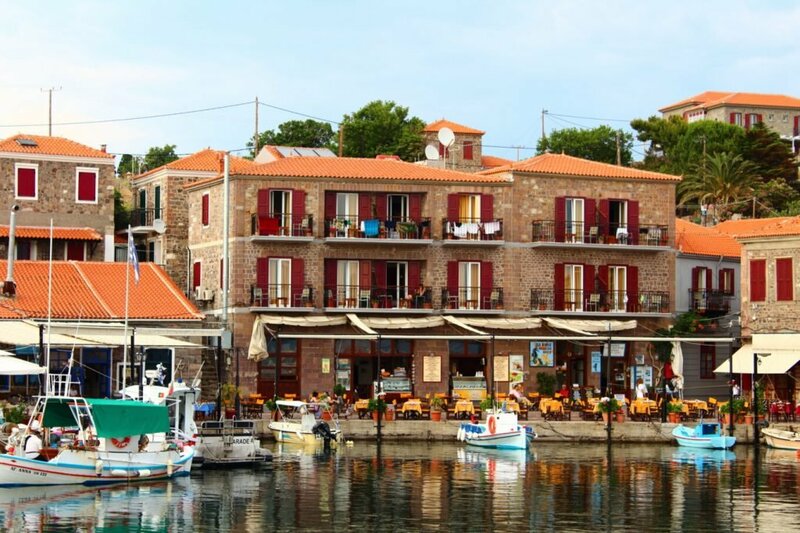 Molivos port is one of the most beautiful and romantic spots of the North Aegean Archipelago. 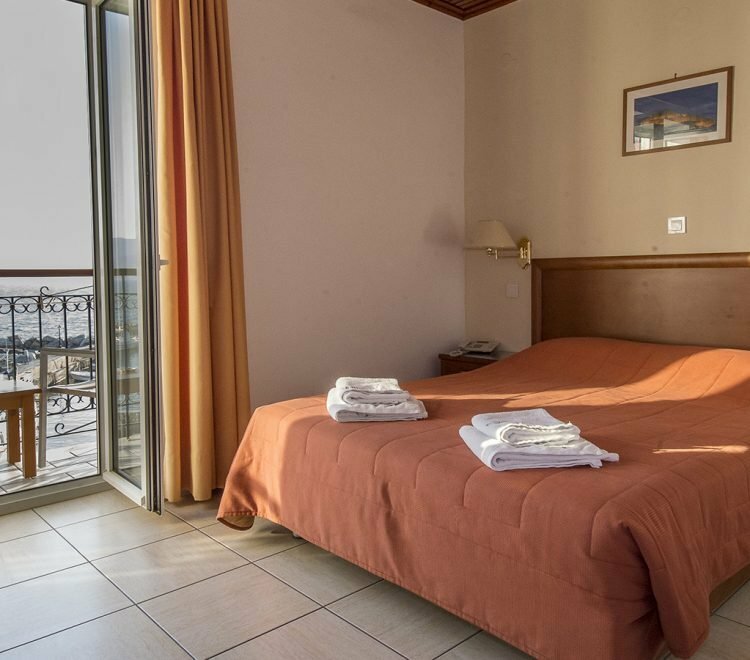 Within walking distance there are also cafes, food places, banks, medical office, chemists, hairdressing salons, gift shops and more. 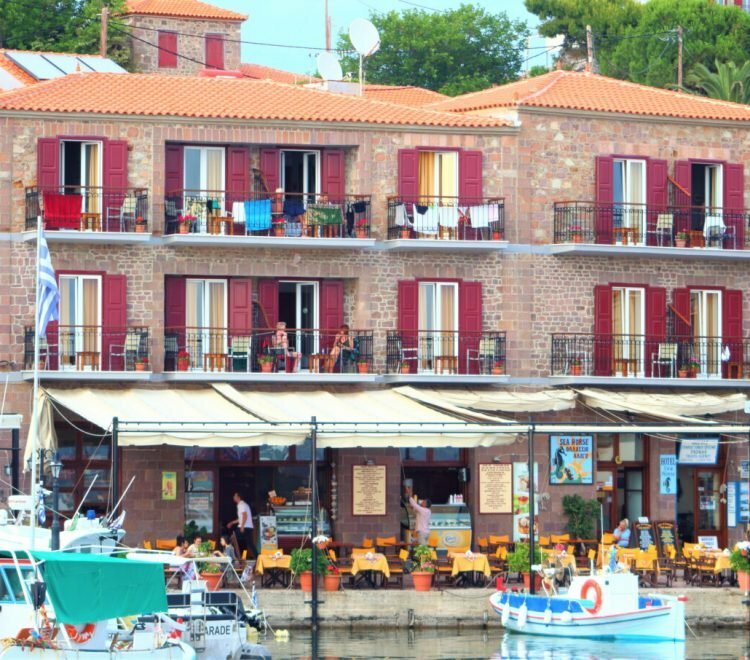 Your breakfast will be served right on the edge of the picturesque port at our famous SEA HORSE Cafe -Restaurant. 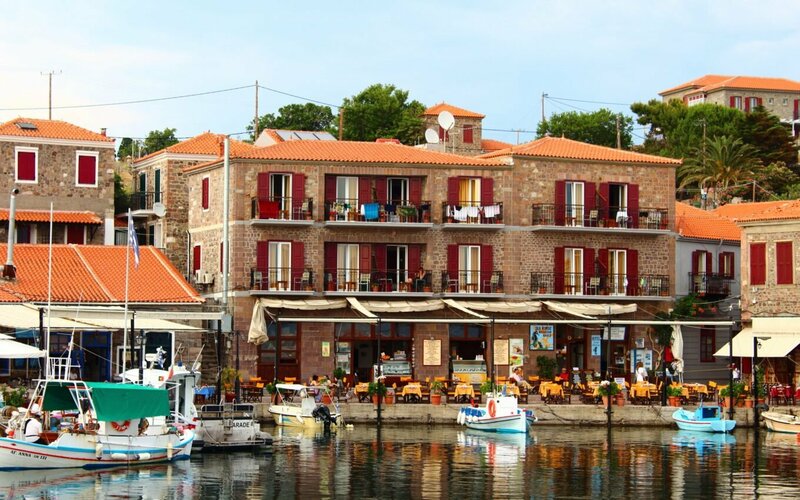 This unique place is located right on water’s edge of Molivos’ picturesque port. 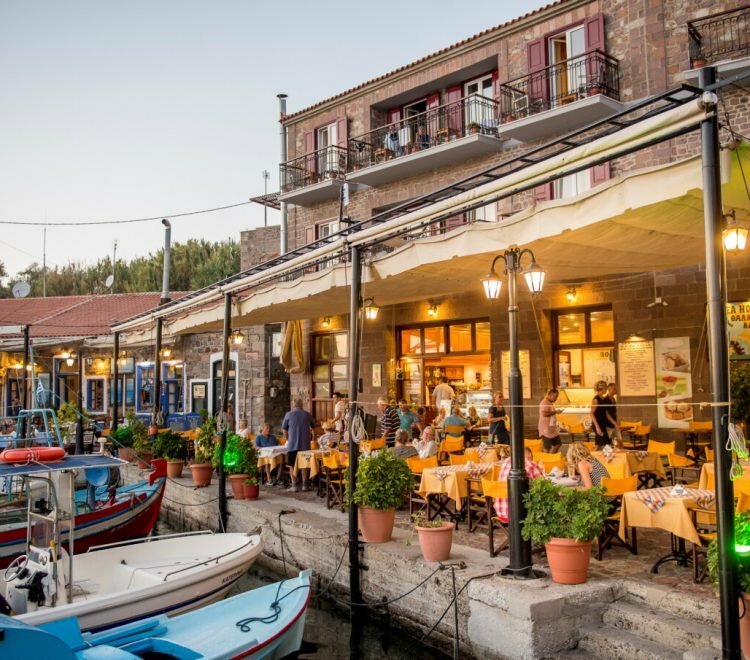 It is one one of the most favourite places for a morning coffee, breakfast, snacks or an afternoon cocktail while enjoying the magic of the famous Aegean sun set or an evening drink! In our restaurant you will enjoy authentic Greek cuisine from carefully selected local products of the best quality! 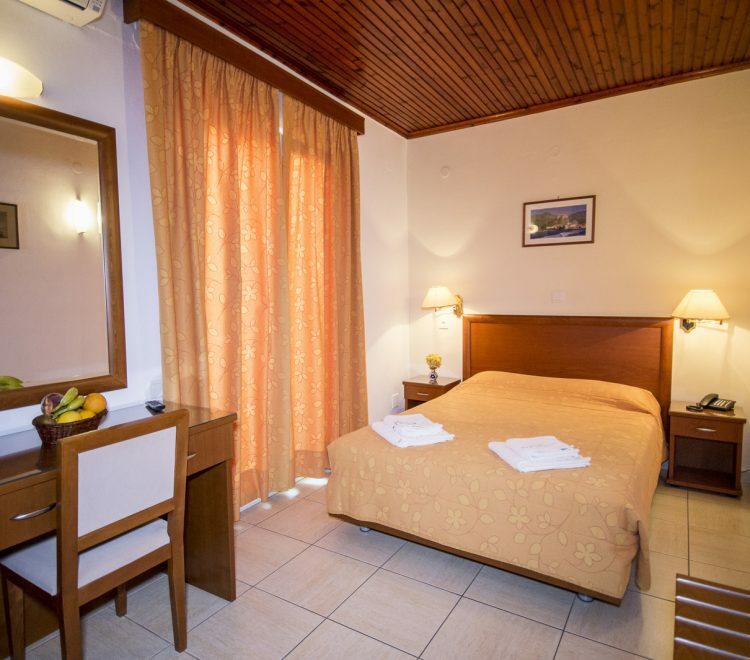 We offer a great variety of starters, freshly caught grilled fish or island meat and many moreand a good selection of wines and beers!